Emergency alert: One-third of the country’s registered nurses are reaching retirement age in the next few years. Nurses comprise over half of a hospital’s workforce, provide the majority of daily patient care and are the single biggest factor influencing how patients rate a hospital. And nearly 700,000 of them are approaching retirement age by 2024. This is raising the blood pressure of healthcare HR professionals responsible for attracting and retaining enough nurses to meet the demands of an aging patient population. With 55% of nurses over the age of 50, there’s lots to worry about. So how are hospitals preparing to meet this uptick in demand for nurses amidst an insufficient supply? Unlike other industries, hospitals can’t dig into deep pockets to attract and incentivize - so HR needs to get creative in how it cares for its patients AND people. Here are 3 ways to get through the current and looming skills gap. Technology has created an era of personalization never before experienced. The one-size-fits all motto of standardized offerings doesn’t necessarily resonate when managing a multigenerational workforce. Here are some things to consider. A competitive salary and benefits - 55% of GenXers say they are behind on their retirement savings. Training - roughly two in three Gen Xers say their employers don’t provide people, skills and technology training. Respect - this generation feels overlooked and is the most under-engaged. Public recognition and respect for their experience will improve feeling valued. Care about what’s going on in their life. This work-life integration is critical to engaging and retaining. Recognize their efforts - social media has created a HUGE need for recognition with this demographic. They are used to regular feedback on their activities and expect it. It fuels them. Provide linear and non-linear career paths. Job stability and a competitive salary plus loan repayment perks. Being at the forefront of evolving technologies so offering skills training will attract and motivate this generation. Onboarding is often overlooked in a fast-paced hospital environment. Encourage supervisors/managers to check-in with new hires at the one week, 30 day, 90 day and 6 month mark to gauge how new hires are fitting in. Quick Pulse Checks can really help. Foster social connections with regular team-building events and mobile communication tools so teams can stay connected on the go. There’s a 50% boost in engagement when employees have friends and feel supported at work. There’s a perception that recognizing and rewarding employees is expensive. It doesn’t have to be. There are many value-added, low cost ways to revitalize and amplify recognition programs to include ALL employees. For more ways to recognize and retain healthcare professionals on a limited budget check out this webcast for a SHRM credit and flip through this healthcare recognition ebook. "All data and information provided on this blog is for informational purposes only and does not constitute legal or HR advice (which should be obtained through formal retention of a lawyer or HR professional, respectively). Nothing contained in this blog reflects the opinions of GOSHRM or any of its directors or members. GOSHRM makes no representations as to accuracy, completeness, current-ness, suitability, or validity of any information on this blog and will not be liable for any errors, omissions, or delays in this information or any losses, injuries, or damages arising from its display or use. All information is provided on an as-is basis." Respect can take many forms in the workplace, and each employee defines it through their own cultural lens and work experiences. For some, respect means having empathy for others, regardless of whether they are your subordinates, coworkers, or superiors. 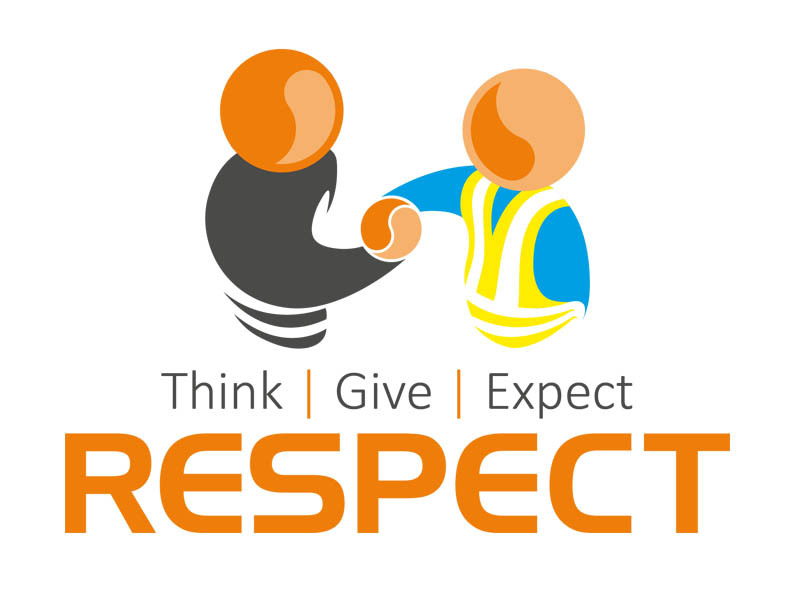 For others, respect is a safe and open environment where employees support one another. And, sadly, some feel respect is a matter of authority, reserved solely for people in positions of power. A vast majority of workplace discrimination claims stem from people feeling disrespected. This is not always the stated reason, but when you explore the underlying issues that led to the conflict in the first place, the situation typically boils down to an employee feeling disrespected by a manager, coworker, corporate policy, or combination of those factors. Often, the employee who files a claim or requests mediation will ask for compensation or to have the offender(s) terminated or reassigned. Through the mediation process, however, it is often discovered the employee really wants to feel respected and appreciated at work. If most workplace disputes stem from disrespectful managers, coworkers, or corporate policies, what can HR professionals do to promote respectful environments and head off discrimination claims before they start? While HR reps should not be the sole creators and keepers of workplace respect, they are in the position to support the creation of respectful cultures. For example, HR professionals are often the ones who must take the first steps to convince company executives of the importance of fostering respectful cultures. Once they have earned executive support, HR pros can focus on drafting the company policies that will support a respectful workplace. When it comes to shaping respectful cultures, HR pros should start by establishing early intervention conflict resolution policies that offer employees a confidential way to voice their concerns and opinions. When an employee feels disrespected, they should be able to express that and work toward an acceptable resolution without fearing retaliation. An early intervention conflict resolution policy should include a minimum of two possible methods through which employees can pursue resolutions. One option might be an anonymous survey. These are most effective when they ask employees to share both their main concerns and their suggested solutions. This helps employees focus on solving problems, rather than just venting about them. Another option could be a facilitated meeting with an HR professional or impartial mediator. When early intervention becomes part of the culture, employees will feel they have a safe way to express their concerns and be heard. As a result, employees will be less likely to file discrimination lawsuits, quit, or create unnecessary workplace conflicts. Not only will you have a more respectful culture at work, but your company will also spend less on costly legal matters. In addition to early intervention mediation policies, employees at all levels should be trained in respectful work environment behaviors. Conflict resolution classes should be mandatory, with separate classes designed specifically for managers and executives. Conflict resolution skills are rarely taught in school, but they can have a highly positive impact on employee turnover rates and productivity while combatting violent behavior and potential sources of lawsuits. HR professionals, too, should attend conflict resolution training. That way, they can better assist managers, executives, and employees with their issues and concerns. Both the HR and management teams must become resources to help employees address their workplace problems. Only then can the culture become more open and respectful. Of course, HR cannot create a respectful workplace on its own. Management must fully adopt the initiatives, and employees must do their part in embracing the cultural shift. Policies and training are only effective when employees feel they are sincere and not just symbolic. Now more than ever, respectful workplace environments are imperative. HR professionals should feel empowered to lead this movement. Written by: Sheryle S. Woodruff owner of Conflict Management Associates, Inc. Sheryle holds a master's degree in conflict studies and analysis. 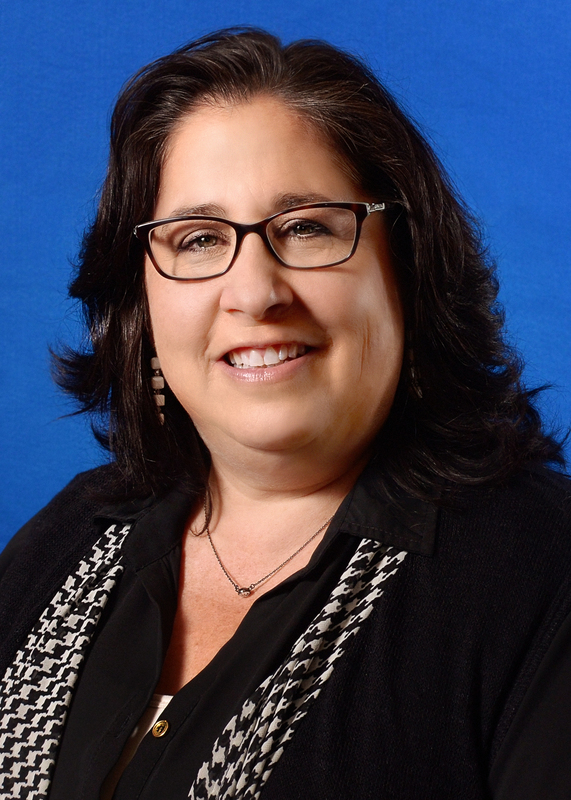 She is a Florida Supreme Court Certified Mediator and has been a full-time trainer, conflict coach, workplace mediator and consultant since 1997. For the past three years, Sheryle has been on the board of directors of the Greater Orlando Society for Human Resource Management (GOSHRM). When the alarm went off at 6 AM for my first day at my new job, I was already lying there, awake and SO excited and anxious to get to my new digs! My outfit was all laid out, I got ready, and hopped in my car – ready for my new adventure for what seemed like the BEST CAREER EVER! When I got there, I was semi-greeted by the receptionist, who told me it would be a minute until “someone” would come and get me. After waiting 15 minutes as a few other new hires filed in and sat beside me, we were finally ushered into a training room with a man who went over compliance issues, helped set up our computers (they weren’t set up already), and gave a brief history of the company. Two hours later, we were sent to our designated seats, and it was time to learn! Only one problem – I didn’t have a trainer, or anyone to show me the ropes. It was just me. Red flags went up immediately, and I just sat back, stunned that I was duped by what seemed like a really great place to work. 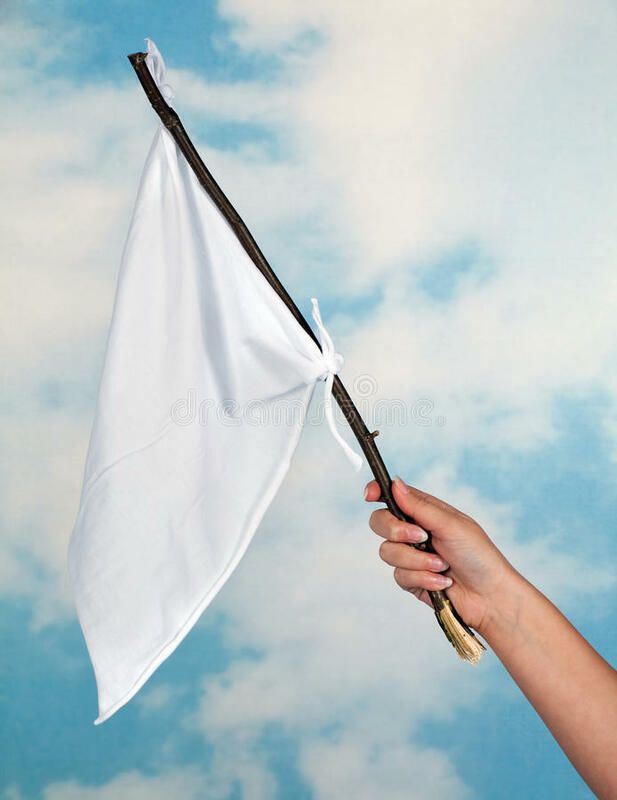 After only 2 months of trying to navigate the organization without being given the tools to be successful, I resigned and left for (much) greener pastures. Pastures that understood that, while the candidate experience DOES end, it then becomes the EMPLOYEE experience. And my goodness, is it EVER important. Orientation “should” last about 2 weeks where the employee can learn all about their new organization for which they excitedly woke up before their alarm. They should be met by their direct supervisor and/or recruiter with whom they’ve already built relationships and have their work space set up for them with some cool swag that tells the employee “Welcome! We are SO glad you’re here!” They should be assigned a mentor or a trainer and introduced to their team members and have a picture painted for them regarding how their role drives the organization forward and why THEY are so vital to its success. Onboarding, however, should last 6 months (a year, if possible) to allow the employee to be fully assimilated into the organization and to engage them at every possible chance. The new hire should be given a survey on not only their candidate experience, but their onboarding experience: this will help keep new hires engaged while also allowing them to give feedback on how the company can improve its process. Let the employees be your organizations brand ambassadors and cheerleaders, and they will refer other great candidates to your company – or at the very least, send others a positive image of your organization. This is the most powerful way to build great employer branding – word of mouth by your own employees! New hires, and even veteran employees, want to hear what they are doing well, as well as what areas may need improvement. Managers must give feedback often and have an open line of communication as well as setting realistic “SMART” objectives up front; this way, the new hire is aware of what must be done to be successful and they are able to speak with their leader if something seems like it may be unattainable. I was a headhunter once, and I could spot top talent a mile away. 95% of folks are open to a discussion about a new opportunity IF it is truly better than where they are now. I will tell you right now – if you are not investing in your employees by providing them with an amazing onboarding experience, they are going to leave – quickly. Other staffing firms and corporate recruiters WILL be and ARE currently calling them. What will you do to ensure they stay? Let’s set up our people for big wins, so that our organizations can then, in turn, be successful. Don’t waste everyone’s time (and your company’s money) by not being accountable for ensuring your employees’ success. Otherwise, they’ll wake up after their alarm, sluggishly and reluctantly get ready, and then drive to work – where they will not perform their best…and headhunters like I used to be will gladly call them and pluck them right out of your firm. Written by Destiny Quinn, SHRM-CP, STA, Talent Acquisition Manager and PlanSource. 1. It’s a candidate-driven labor market. 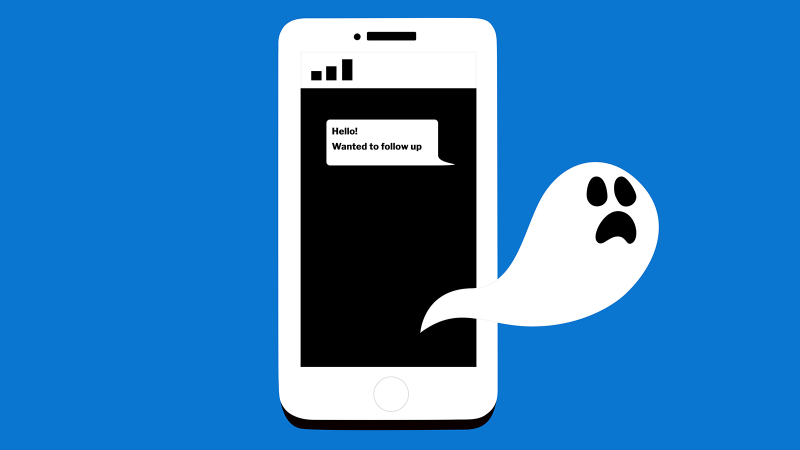 Ghosting tends to spook employers during good economic times (think 60s, the late 90s, now) when demand for certain types of workers exceeds supply. It doesn’t explain the immature behavior but does explain why it’s happening more now. 2. Technology has made communication less personal. While technology has made recruitment more efficient and less biased, the lack of face-to-face conversations means relationships lack depth in the courting and interview stages. Not to mention candidates often have multiple recruiters after them. 3. Candidates are doing their homework. Candidates are researching you; they’re assessing your company culture and employee engagement through Glassdoor and other crowd-sourcing sites. If they don’t like what they read or feel it’s not a good fit, you’ll be removed from their shortlist, sometimes without notice. While millennials may have created this term, there’s no data to support they are the villains. HR professionals are hearing of it across all ages in the job search process. It’s a case of immaturity and inexperience and more prevalent in high-demand, entry level positions with an abundance of jobs. Stay close to your candidates. Ask about their hobbies and interests to establish rapport, be respectful, show your personality and communicate vigilantly throughout the process. Even over-communicating is a positive differentiator and will alert you to any issues. · Train your Managers. You know the saying…employees don’t leave companies, they leave bad managers. Not enough mentoring is happening from day 1. Millennials were raised in activities and sports that involved coaching and teamwork. A strong mentorship program could the deciding factor in wooing top talent. Check out SHRM’s comprehensive library of Onboarding resources . Do you have a “ghost story”? I’d love to hear about it. Send me an email at lori@csistars.com. Form I9: Are you out of your mind? Ask yourself, if ICE were to walk into your company now, would you be ready? And would you have less than 10 percent of errors to hopefully get away with just a warning? If the answer is you’re not sure or probably not, you may want to prepare yourself. Check out the USCIS.gov website and register for their free webinars. They are extremely informative and they help you understand the required fields of Form I9 as well as how to make corrections. I found that the Form I9 webinar, usually held on Tuesdays, are the best. Make sure you’ve downloaded the newest version of M-274. There are some recent changes so you want to ensure you have the most up to date information. Always reference the USCIS website on how to correct Form I9. This allows you to get the guidance you need straight from the source. Lastly, if a self-audit is the way to go, reference the USCIS I9 Central: Self Audits page. There you’ll find a pdf that you can reference called Guidance for Employers Conducting Internal Employment Eligibility Verification Form I9 Audits. This guide will go through some of the topics mentioned previously in one document. Also, if you’re not the only person in your company who has the responsibility of verifying identity and employment authorization of individuals hired for employment, I recommend having each person take the free webinars provided by USICS to fully understand their responsibilities. While Form I9 audits sounds daunting, ICE agents are looking for unsafe employers and the likelihood that your company may be a target may be slim. It never hurts to be cautious because in the end, it’s your duty as the employer to ensure you understand how Form I9 should be filled out, what you can and cannot ask for in terms of documentation, and that you’re not participating in discriminatory practicing when it comes to Form I9. Written by Ramona Kwong, SHRM-CP, PHR, HR Client Manager at Paylocity. The views stated and positions taken in this post are my own and do not reflect the positions or views of my employer and should not be attributed to them. WHAT IS THE GOSHRM MENTORING PROGRAM? It is a developmental partnership in which Mentors share their knowledge, skills, information, coaching, and feedback to cultivate the professional growth of a Mentee.  It supports the Chapter’s goal of “developing HR professionals to lead through the development and implementation of mentoring opportunities to foster relationships with members at all levels.”  It provides Senior-level HR professionals a unique opportunity to share and professionally develop other members through a one-of-a-kind partnership that includes problem-solving, collaboration, and goal achievement.  It provides an opportunity for Mentors and Mentees to earn 8 general recertification credits for successfully completing their assignment. There are many different ways to define Respect in the Workplace. There are probably as many different definitions of a Respectful Workplace as there are personalities in your company. Each employee will define Respect in the Workplace through their own cultural lens and work experiences. To some, it means having empathy for others around you regardless of whether they are a subordinate, coworker or superior. To others respect is a safe and open environment where all employees are supportive of each other. Some feel respect is more authoritarian and reserved for people of power and influence in the organization. There were hundreds of responses when I googled “What is Respect in the Workplace?” The explanation I liked most was the one on Wikihow. It said…”At its heart, being respectful means showing that you value other people's perspectives, time and space.” I like this response because it is just specific enough to encompass almost any workplace environment you could think of. Whether it is a law firm, a theme park, government agency, hotel or hospital, this explanation of workplace respect makes sense and fits well. As a mediator who has facilitated hundreds of employment mediations over the past twenty years, I can confidently say that a vast majority of workplace cases stem from someone feeling disrespected in the workplace. This is not always the obvious stated reason but when you dig deep and uncover the underlying issues that led up to the conflict and mediation, they usually boil down to the employee feeling they were disrespected by a manager, co-worker, corporate policy or a combination of those. Often times the employee who files a discrimination claim or requests a workplace mediation will ask for large sums of money or to have the manager fired or moved to a different department. Through the mediation process, it is often discovered that the employee just wants to feel respect in the workplace. The following is a very common workplace mediation scenario, with names changed of course. David, an hourly employee working in the customer service department of a large organization claims he was discriminated against by his supervisor because of his Age. David is a 45 year old male who has been with the company for 20 years. He claims that his supervisor, Gabe, treats him different than the other employees who are younger and faster. David claims that he knows how to do his job and does not need a young wiper snapper who just started working at the company to tell him what to do. He is just not as fast as he was when he was younger. At the beginning of the mediation, David was visibly angry and insisted that his supervisor be fired due to his discriminatory practices. Through the mediation process, David was able to express to Gabe how disrespected he feels when Gabe tries to micromanage him. David is the most senior worker and feels that Gabe should respect his years and knowledge in the job. Gabe was able to share that the company was pushing all supervisors to increase the productivity of their subordinates to prevent layoffs. Through this process, David better understood the pressure his supervisor was under and recognized that everyone was being pushed, not just him. After going back and forth with various ideas, they settled on an agreement. 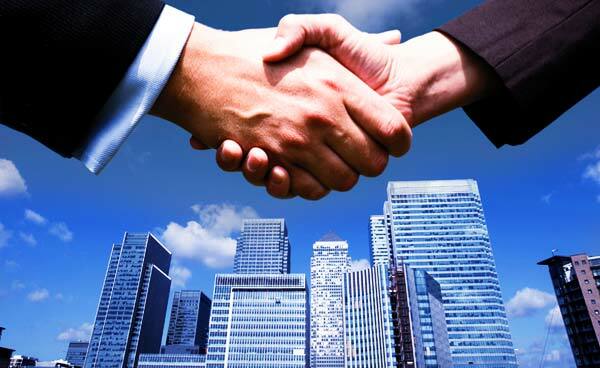 Gabe and David signed the agreement and shook hands with a clear understanding of how the other man felt and how they could move forward and work together in a mutually respectful manner. Also, I am definitely not suggesting that HR professionals should be the sole creator and keeper of workplace respect. Additionally, HR professionals often have to overcome the hurdle of convincing company leaders and executives of the importance of creating a respectful workplace environment. Once those hurdles are tackled, HR professionals can focus on creating company policies that support a respectful workplace environment. Hence the title of this article. Establish an early intervention conflict resolution policy that supports the type of environment you are trying to create. Offer employees a way to voice their concerns and opinions. When an employee feels disrespected, they should be able to express that and work towards an acceptable resolution without feeling the possibility of retaliation. An early intervention conflict resolution policy should include two options for employees to pursue. First option might be an anonymous type of survey or comment box. Many companies offer surveys but often ask the wrong questions, ask leading questions or they do not offer the security of a confidential process. Any of these mistakes can easily diminish the survey results. 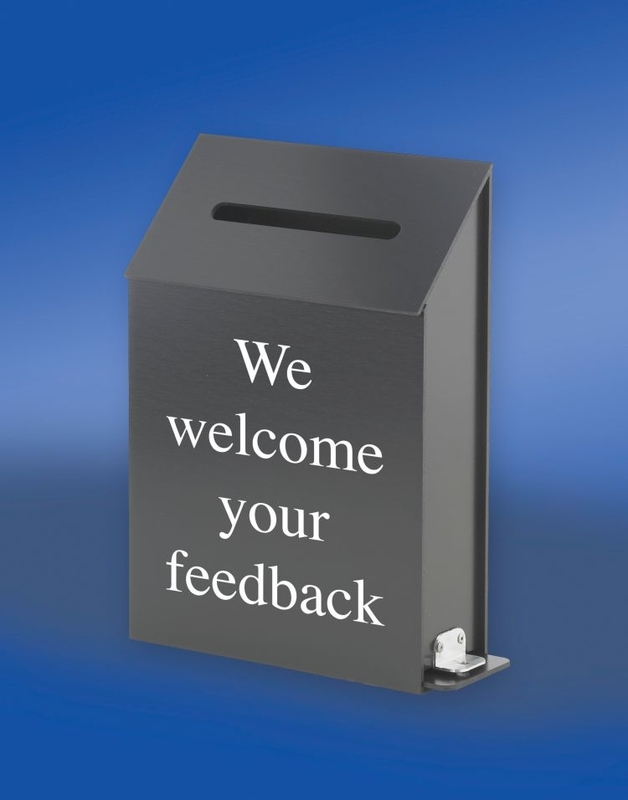 An effective survey or comment box should ask the employees what their main concerns are and what their suggestions are to improve any issues or concerns. Second options should include a facilitated meeting with an HR professional or Professional Mediator. Early intervention mediation can help to empower employees to speak up without the fear of retribution. Mediation offers employees a forum to be heard on a level playing field. When early intervention becomes part of the culture where employees feel they have a safe avenue to be heard, they are less likely to file a discrimination lawsuit, quit or create unnecessary conflict in the workplace. These two options are a great way to reduce costs in the organization and create a respectful work environment. 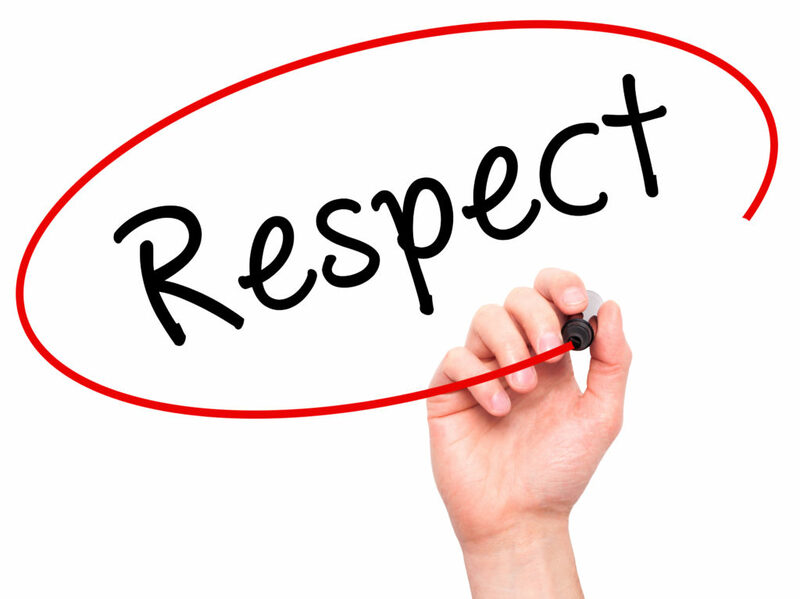 Respect should be a focal point in new hire and continuing training for employees at all levels. Whether an employee is part time, hourly, middle management or a top executive in the company, the culture needs to reflect the importance of a respectful environment. A conflict resolution class should be integral to any organizations employee training program with a separate class designed specifically for managers and executives. Conflict resolution skills are rarely taught in school and often only briefly touched on in the workplace but these skills can make the difference between low or high employee turnover rates, expensive lawsuits, high or low productivity and non-violence or violence in the workplace. As HR professionals, it is important to actively work on the skills to put yourself in someone else's shoes as well as assist managers to better understand employee issues and concerns. 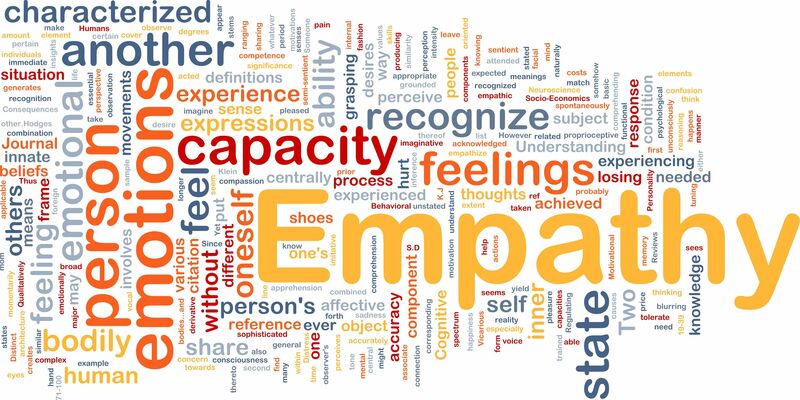 When HR staff and management are able to be empathetic and show employees that they are a resource for them when they have concerns or problems, the culture can begin to shift to a more open and respectful environment. Of course, the recommendations above will only be successful in creating a respectful workplace after upper management buys into this shift 100% and employees feel the company culture has shifted. Policies and training are only effective when employees feel the policies and training are sincere and not a just a band aid. Depending on how far or close your organization is from having a truly respectful workplace will have a huge impact on how much effort an HR professional will have to put into this effort. Regardless, there is no doubt that your sincere efforts will be noticed and effective over time. Written by Sheryle S. Woodruff, MS, Owner of Conflict Management Associates, Inc. www.cmafla.com 407-417-7791. Sheryle holds a Master's degree in Conflict Studies and Analysis. She is a Florida Supreme Court Certified Mediator and has been a full time trainer, conflict coach, consultant and mediator since 1997. She specializes in preventing and resolving workplace conflicts. I recently attended the 2018 HR Florida State Conference. Since this was my fourth year in attendance, I felt like I had a pretty good idea of what to expect. However, a couple of my peers were attending for the first time. After offering suggestions to the first-timers, I thought to myself: I bet there are a ton of people out there that wish they knew how to make the best out of their own state conference experience, so I want to offer the following generalized tips in hopes that your conference experience is one you won’t forget. Written by Amanda Brunson. Originally posted on the SHRM Blog. I jumped at the chance to write a blog post for the BlogSquad on HR trends that improve retention and results. I strongly believe recognition, while maybe not a trend, is the silver bullet needed to keep employees longer and performing to their potential. I’ve written many posts supporting this statement and have seen firsthand how “small acts of recognition when multiplied by many can transform a culture”. Isn’t that the best line? I’m not sure where I saw it, but I believe it and it’s now my motto! This line really speaks to me because it implies that culture cannot be built by HR. It takes many people in an organization buying in to your company’s direction and values to impact culture. Top-down only won’t work. HR-driven efforts alone won’t work. Employees don’t choose to engage. They have to be inspired and the best way to inspire someone is by recognizing their contributions and making them feel valued. What if everyone in your organization recognized one person daily? Hand-written cards are amazing. I love getting them and save them forever. However, they aren’t the most scalable option for everyday thank you's. Also, according to a recent study in Psychological Science the main reason people don’t send thank you notes is because they lack confidence in their writing skills/penmanship. Since 70% of recognition should be informal, these non-monetary thank yous from peers, managers and senior executives have a multiplier effect that can transform your culture, take the monkey off HR’s back and elevate HR’s role amongst senior management. Engaging employees using the medium the majority of your workforce use daily (hourly) is inclusive allowing Steady Eddie employees in departments where it’s harder to shine to receive well deserved recognition too. Today’s HR platforms also have reward and incentive features. HR recognition tools are an effective way to amplify your efforts and boost participation. Just think if everyone in the organization added recognition to their daily routine every day. It would have a significant and positive impact on culture. And a stronger culture makes our job as HR professionals a lot more pleasant, leading to a positive return on investment due to higher productivity and better retention – all KPIs that boost the bottom line. Do You Want to Join the GOSHRM Blog Squad? Do you want to be a part of the GOSHRM Blog Squad? We are happy to announce that we have officially released our GOSHRM Blog Guidelines and would like to extend an invitation to you to become part of the GOSHRM Blog Squad. If you would like to write & submit blogs for our website that are focused on trending HR matters, please download the GOSHRM Blog Guidelines below. We welcome each of you to review the guidelines and complete the acknowledgment and questionnaire on page 2. Once you have done so, please submit them to communications@goshrm.org. Per the guidelines, once you are approved you will receive an official GOSHRM Blog Squad Certificate and will be allowed to submit up to 4 blogs each year. We hope that you are as excited as we are as we move forward with this great opportunity! If you have any questions, please don't hesitate to reach out.